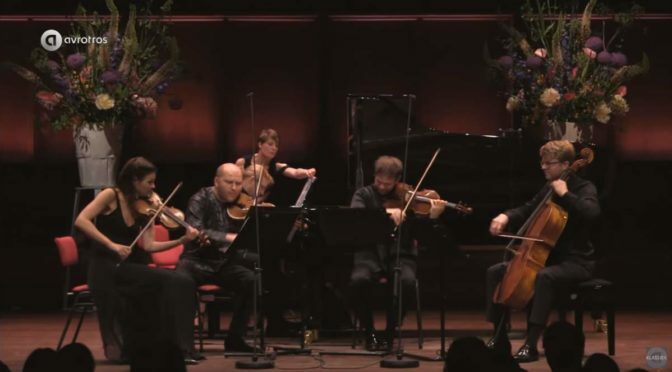 Janine Jansen: violin, Denis Kozhukhin: piano, Boris Brovtsyn: violin, Amihai Grosz: viola, Julian Steckel: cello. Béla Viktor János Bartók (25 March 1881 – 26 September 1945) was a Hungarian composer and pianist. He is considered one of the most important composers of the 20th century; he and Liszt are regarded as Hungary’s greatest composers. Through his collection and analytical study of folk music, he was one of the founders of comparative musicology, which later became ethnomusicology.